Harris Internal Medicine (Orlando) - Book Appointment Online! 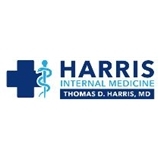 Welcome to Harris Internal Medicine, practice of Thomas D. Harris, M.D. Our vision is to be the leader in quality patient care by providing the best in patient services. Dr. Harris uses his skill and experience in the field of internal medicine. Harris Internal Medicine has been established in Central Florida since 1993. Harris Internal Medicine is dedicated in providing a high quality of care in preventive healthcare. Our office is committed in treating every patient with outstanding service with respect, professionalism, and compassion. We have providers who fluently speak both Portuguese and Spanish. We have been using Electronic Medical Records since 2005 and now the office runs on solar energy. Saturday hours available - call our office for availability. She was very friendly,talked to me while I was getting a Pap smear which made me forget about the awkward situation. I kept asking questions, and she had an answer for all or would ask me for more details to provide better suggestions. My visit was great, overall pleasant experience with my provider.